Dark snows, dark tides. Image via Dark Snow. Everyone knows that Greenland isn’t exactly green – it’s covered in snow, so it should be white. Except… it’s not white anymore. 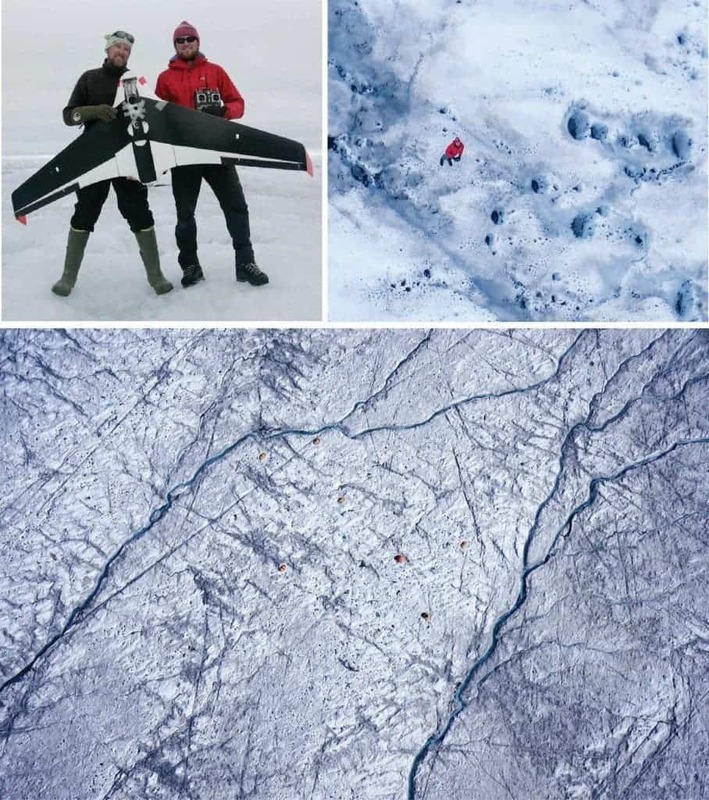 Jason Box, a member of the Geological Survey of Denmark and Greenland, has been studying the snow in Greenland over the summer and his observations are seriously disturbing. According to him, the snow is darker than ever, and this could start a disastrous feedback loop. You’ve probably noticed that, on a sunny day, the color of your clothes directly impacts how hot you are. A black T-shirt will become much hotter than a white one – this happens because of the albedo. Albedo is the ratio of reflected radiation from the surface to incident radiation upon it or, to put it in a simpler way, it’s a measure of how much radiation is reflected. The less radiation you reflect, the hotter you get – and as you can probably guess, this doesn’t apply only to T-shirts; it also applies on a planetary level. Snow is white, and so it reflects a lot of energy. If that snow were to melt, its place would be taken by something else (soil, vegetation etc) – but whatever that thing may be, it will be darker than snow. Because it will be darker than snow, it will also absorb more light, and become hotter, melting even more snow and creating a snowball – like effect: a climatic loop. 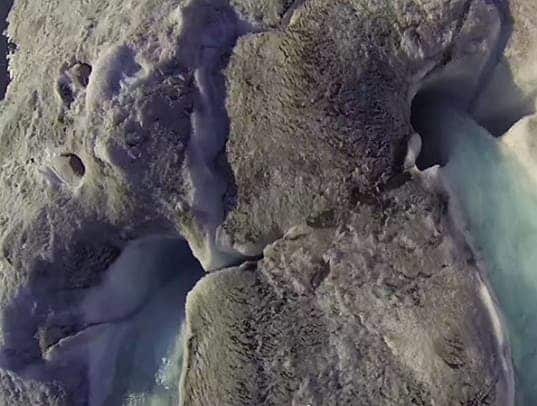 To make things even worse, there is a huge quantity of carbon stored in the polar ice. If the polar areas were to melt even partially, they would release huge quantities of carbon dioxide (a greenhouse gas) into the atmosphere, further accelerating global warming. Fires may have negative consequences on the albedo of polar snow. Image via Dark Snow. Box and his team report that the snow has become much darker in recent years, but this summer, it’s worse than ever in recorded history. 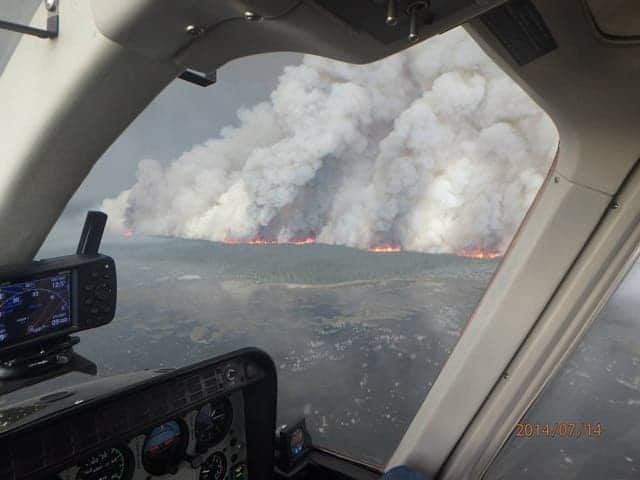 When Box looked at Arctic wildfires, he found that they have been burning at twice the rate from a decade ago; the soot from the fires (and also other pollution from factories or even snow melting). His research hasn’t yet gone through peer review, but the direct observations paint a pretty dark picture. The problem is getting worse, and consequences can’t be good. This black material is called cryoconite, and is comprised of dust and soot deposited on the surface, and melted out from the older ice exposed by melting. The dark patches are often glued together by tiny microbes. You can read more news and updates on the project website, Dark Snow.